Christmas concert by The Freeman Valley Quintet featuring Bob on French Horn. 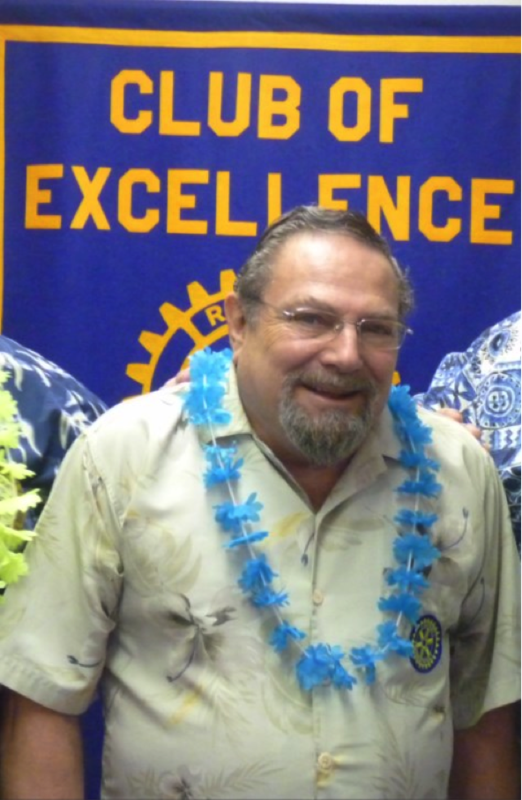 Sadly and painfully Hermosa Beach has lost a local legend, Alonso "Mick" Felder, Past President of Hermosa Beach Rotary and founder of Felder's Autobody and Frame Shop, an iconic business here on PCH for 50 years. 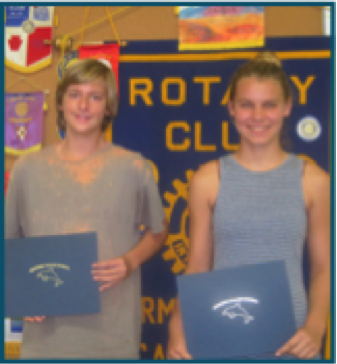 2018 Students of the Year from Our Lady of Guadalupe, Shane Hagerman and Viveca Henry, recipients of The Angela Peterson Student Recognition Program, which acknowledges academic, artistic, and community service achievements among Hermosa's students. Our District is entering the 5th year of formally creating a District Peace and Conflict Prevention/Resolution position, placing this area of focus into prominence and supporting the concept that the five other areas of focus, Water and Sanitation, Economic Development and Community, Child and Maternal Health, Disease Prevention and Treatment, Education and Literacy all contribute to Peace building. 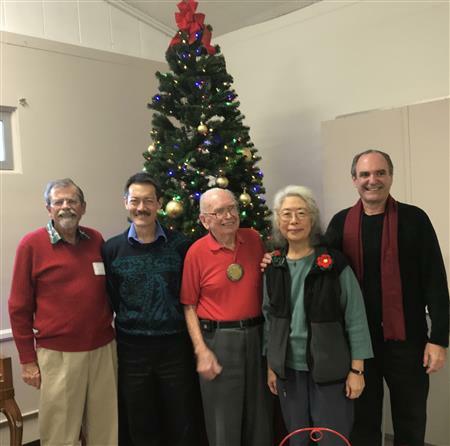 Jewel Price is the new Peace Chair for the District and praised the work of District 5280 Peace Chairs, Mark Ameli, Steve Goldsmith, Manisha Javeri, and Vicki Radel. "Their vision and leadership has created a climate in our District to be people of action in the work of peace building and promotion." In the spirit of District Governor, Joe Vasquez whose theme for the year is “It’s All About the Clubs” Ms. Price hopes that clubs will make PEACE the cornerstone of their club’s activities this year. Training and education are an integral part of this area of focus and mediation training, webinars, forums, events are planned for this year. 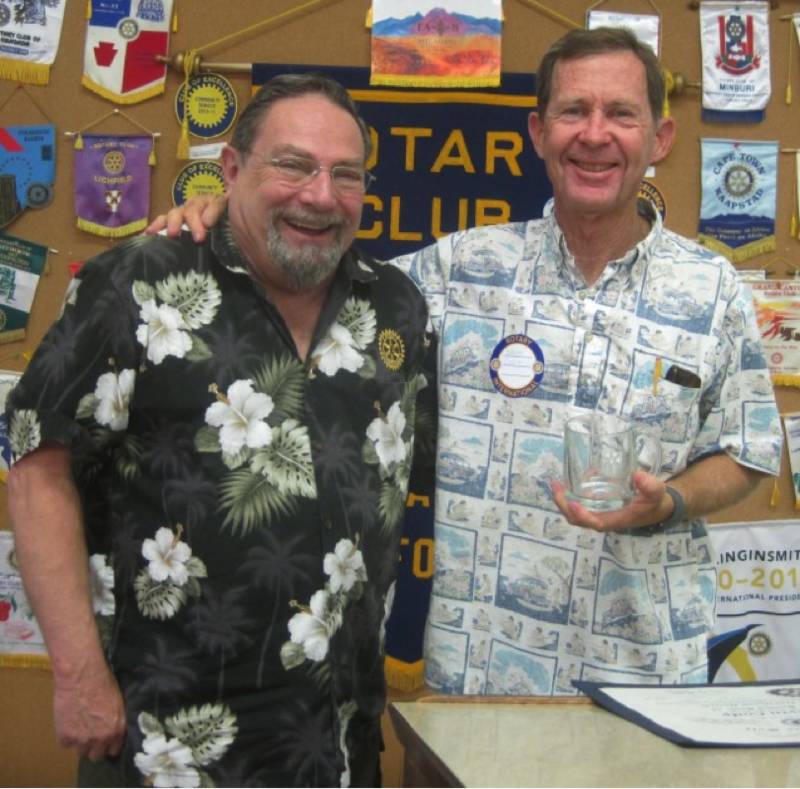 Meet Todd Saks, realtor from Vista Sotheby's Manhattan Beach, our neighbor and newest friend of Rotary, sponsored by honorary Rotarian, Dave Garrett!! Todd's induction is next week, June 26. COME JOIN US for Todd's CRAFT TALK on July 10! 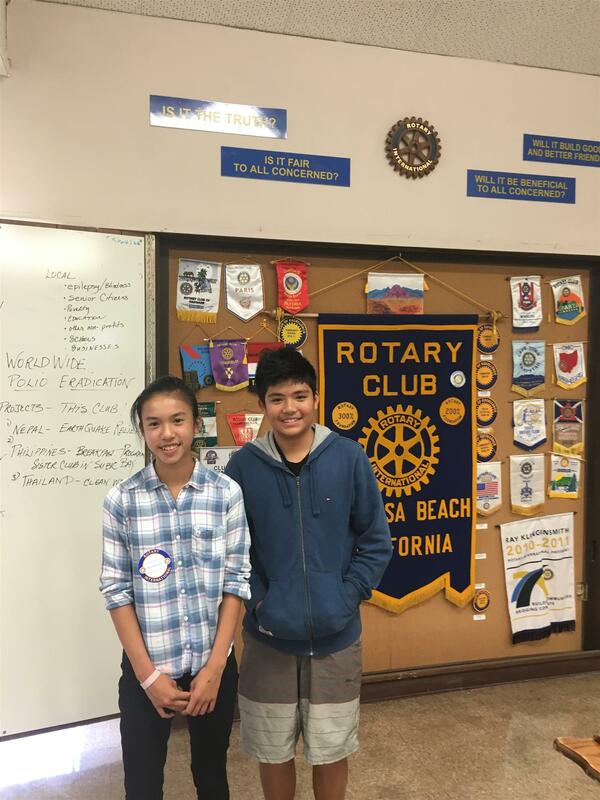 Raymund Avenido and Audtrey Vo, February’s recipients of the Angela Peterson Student Recognition Award, have not only traveled all over Asia and North America, but they’ve regularly performed service in countries like Vietnam and The Philippines! the needy in The Philippines, was quick to note that he plans to specialize in cardiovascular medicine or neurology. He’s well on his way: he already medaled in the annual Science Olympiad, where he demonstrated how to create and read weather maps. His father notes that the family has instilled in Raymund values like “understanding the queue” and responding to crises when needed (Raymund was just 10 when he helped his physician dad deliver a baby). Action movies are his favorite, but he loves to play chess and study karate. Audrey’s list of community service reads like a Rotary blog: held bakes sales to help veterans and victims of the Nepal earthquake; pays for holiday gifts for needy families; contributes to orphanages in her parents’ native Vietnam. Her tennis coach says she’s so good because she’s so focused and her mom added that she’s brimming with curiosity. Audrey loves math and science, citing Mrs. Eichenlaub as her favorite HVS teacher. “I love studying atoms,” she notes, but she’s equally interested in culinary classes. President Jody remarked that our future is in good hands with the likes of Raymund and Audrey. The January recipients of the Angela Peterson Student Recognition Award. are almost polar opposites - one a front-and-center musical theater star, the other a silent champion - but both bode well for the future of our country. Natalie Rebenkofff, whose theater career began with writing dialogue and creating scenes for her Barbie dolls, will probably be Broadway-bound after her stints at MCHS and. . . Carnegie Mellon! This 4.0 superstar is also applauded by her teachers as kind and helpful. Break a leg, Natalie! Also a straight A student, Jack Saldana is fairly new to HB and is a self-professed Lego addict! He is such a devoted math student that he even took math in the summer (bravo, Mrs. Avol). Jack has been especially helpful in his new community, recently derooting and replanting the steep banks of ice plant near HVS. A Navy brat, Jack is an avid reader, creative writer, trumpet player and team tennis member. Hailing most recently from New Jersey, he’s also a Star Wars devotee and says his favorite TV show is M*A*S*H.
November Students Both Avid Readers. . .And Tall! Cameron deems Mrs. Avol his favorite teacher, which makes sense since this self-taught cellist, retro video game player loves physics and wishes his math and science classes would last longer! The MCHS-bound math whiz hasn’t yet thought about college. Lauren Turner, November’s Young Woman of the Month, has only been in Hermosa since the beginning of 7th grade and has already made a lasting impression on the HVS faculty. Destined to be a volleyball player because of her height, Lauren actually loves swimming — especially in the ocean! Hailing from Fresno, Lauren says Hermosa is much safer to walk around and enjoys the farmers market. The oldest of four children, Lauren loves language arts and history, with a special interest in HVS’ Writers Work- shops. 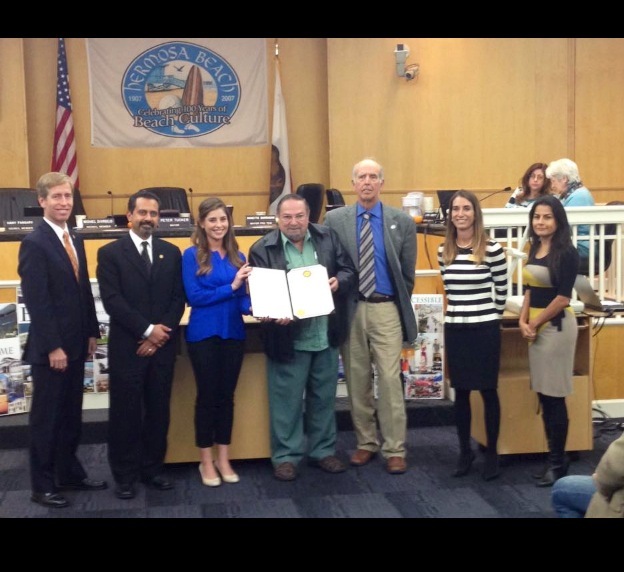 The Hermosa Beach City Council announced on Thursday, November 13, 2014 that Hermosa Beach will be a Host Town for the 2015 Special Olympics World games this Summer! 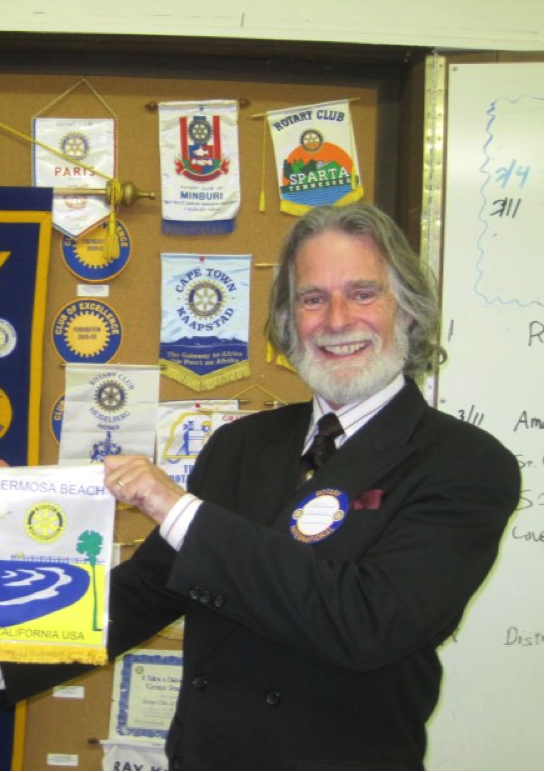 The Hermosa Beach Rotary will spearhead the Host Town project. 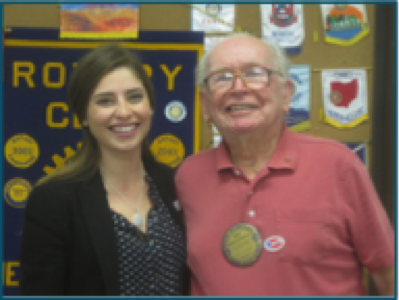 On November 4, 2014, Laura Leventhal, Director of the Host Town Program for World Games, provided our club an overview of the Special Olympics & explained how Hermosa — and our Rotary club in particular — might be able to participate. Athletes from 170 countries will converge on Los Angeles in mid-July next year, prepping for, then participating in, the Games. “Imagine all of the language and logistical issues,” Laura remarked. Our specific assignment, along with approximately 100 other host cities, would be to provide lodging, meals and cultural interaction with the athletes assigned to our town. Los Angeles is set to welcome more than 7,000 Special Olympics athletes from 170 nations to compete in 25 Olympic- type sports. It's a world stage for our athletes to demonstrate on the playing field their courage, determination and spirit of sportsmanship. Last held in Athens, Greece, the sporting activities range from aquatics to volleyball: badminton, bocce, equestrian, golf, gymnastics, kayaking, soccer and softball, among many. The Los Angeles Games will also provide a venue for global discussions and action on the impact Special Olympics can have on the lives of people with intellectual disabilities. More than 200 million people worldwide have an intellectual disability, making it the largest disability group worldwide. Intellectual disability crosses racial, ethnic, educational, social and economic lines, and can occur in any family. · LA 2015 will mark the first World Summer Games held in the U.S. in 16 years. Major sponsors include Procter & Gamble, Safeway, UNICEF and Microsoft, which for the first time is helping athletes, coaches and families with key information management tools such as scores, personal bests and health/ nutrition facts. Surfing Blind? You Betcha, Dude! Whoever said “it can’t be done” has never met Patrick Murphy and his band of dedicated surf instructors or their eager students: blind children who were determined to surf. On waves. In the Pacific Ocean. Pat, an avowed adventurer who lists high-level skiing and zip lining as his “normal” sports activities, is an avid surfer. In fact, he’s surfed all over the world and has many friends who are profession- al surf instructors. So, 12 years ago, working with the Los Angeles County Braille Institute, he got the wild idea to create classes to teach blind kids to surf. The Institute helps him identify kids with various sight levels who want the experience of riding a wave. Each surfer is paired with a sighted volunteer — most with extensive safety training — to then attend five sessions at 45th Street in El Porto. After several morning hours in the water, the kids enjoy a free meal from a local restaurant (shout out to Sharkeez!) and then have the option of hitting the waves again in the afternoon. Watching Patrick’s video of these kids experiencing the sound of the surf, the smell of ocean and the ultimate thrill of standing up on the board was truly inspiring. It is with sadness that we announce that longtime Hermosa Beach Rotarian Angela Peterson has passed away. Rotarians are invited to her services. The services will take place Friday, July 18 at 2:30pm at First United Methodist Church in Redondo Beach. The address is 243 S. Broadway (at Torrance Blvd). Mayor Michael DiVirgilio is a planner. He told our club on April 22 that he actually has a strategic plan with short-, long– and midterm (5-year) goals that involve our city’s sewage, public safety, bike traffic, sales and property tax revenues, and, perhaps most important, accountability on the part of City staff. Gem Munro of the Amarok Society lives in the city of Dhaka, Bangladesh. He and his wife moved their family there to help the "very poorest of the poor." The desire was to educate and bring literacy to the slums. 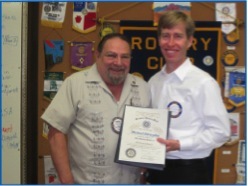 Saturday, April 12, 2014 is Rotary International Day of Service. 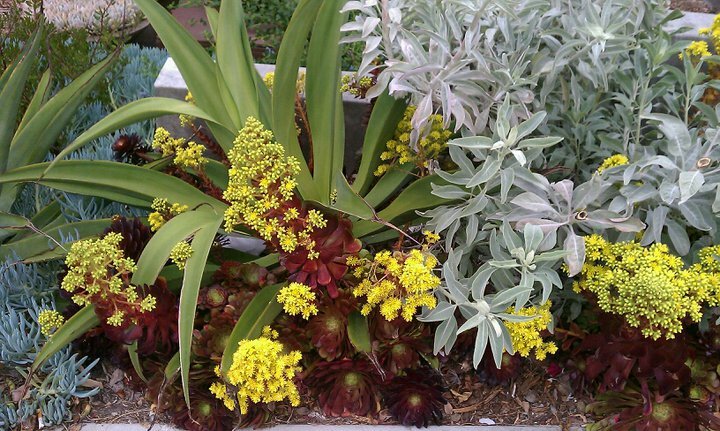 Hermosa Beach Rotary will be planting native plants. John us on at Valley Park in Hermosa Beach at the Theodore Payne Native Flora Garden on Saturday, April 12, 2014 between 9 a.m. and 5 p.m. All ages welcome! Led by Brennan Danlasky for his Eagle Scout Project, the Hermosa Beach Rotary in collaboration with the city of Hermosa Beach will take part in the Theodore Payne Native Flora Garden Restoration. We will be planting native hermosa Beach plants and will place a new sign and refurbish the park bench. Gloves and shovels or trowels are recommended but not necessary. Food and water will be provided. 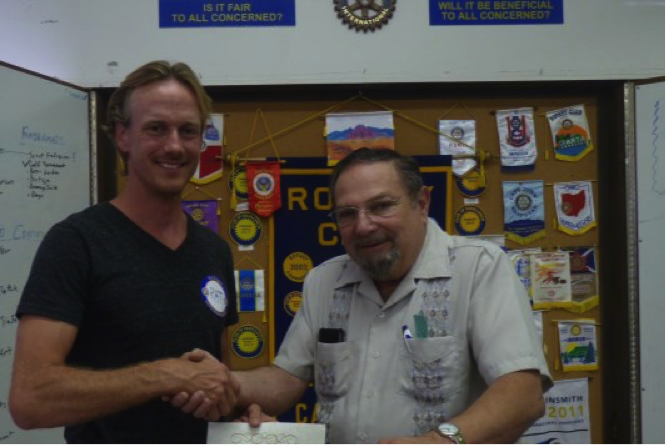 Eric R. Foster of Friends of Renee Avis provided the club with a very information presentation on Lyme Disease. We learned how Lyme Disease is transmitted (through a deer tick bite), how to recognize symptoms of Lyme Disease, and most importantly what to do (and not do) if you think you have been exposed! Stop and Smell the (Organo)Coffee! With the delicious smell of coffee wafting through the clubhouse, Arcella Gant told us about an interesting new blend of java. Made with ganoderma, the cancer-fighting herb that was once reserved for Chinese royalty, one cup Organo Coffee provides enough caffeine to keep you going all day! For combined vocal and dance performance fun, there’s nothing else quite like Kids Kabaret in the South Bay. 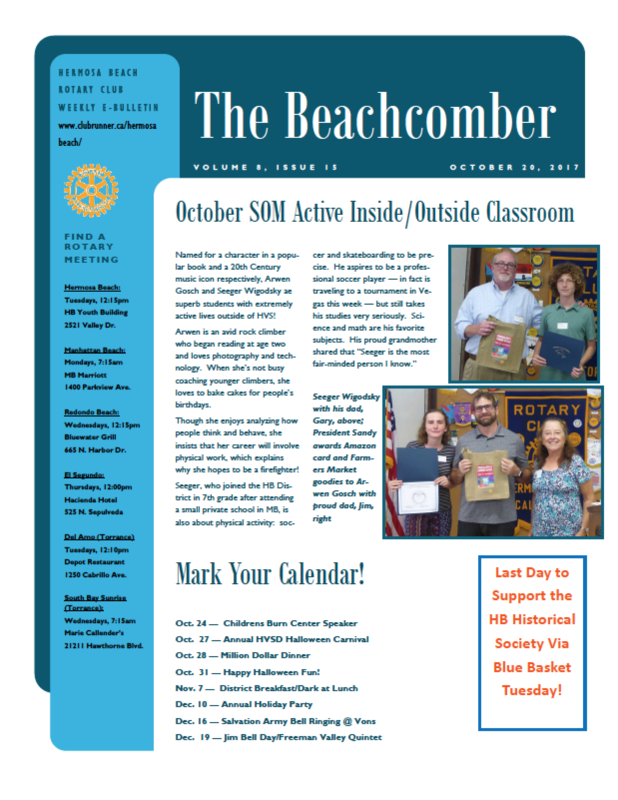 By all accounts, our resident nonagenarian, Bob Peterson, led a fun and productive meeting on Sept. 25. 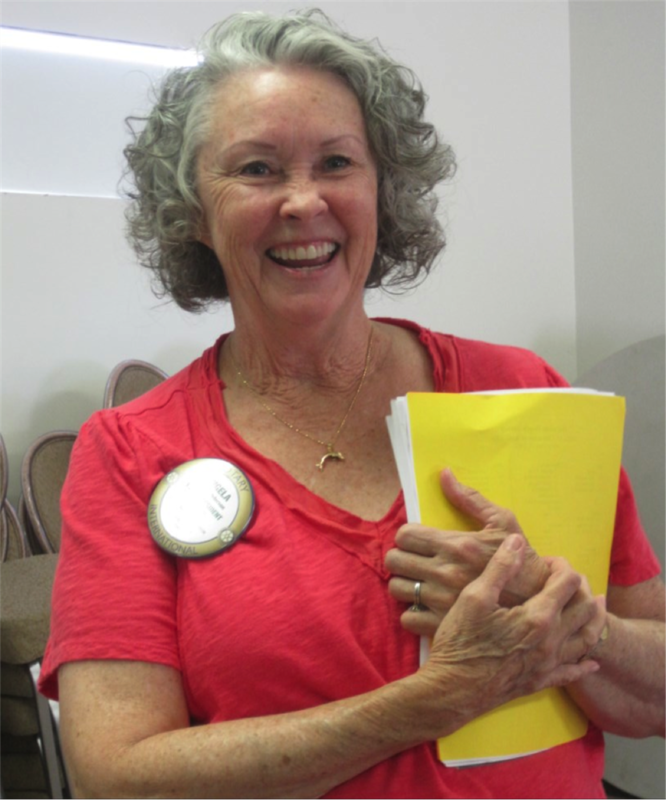 Featuring Beth Ander-son of the Burbank/Sunrise Rota-ry Club, the meeting attracted members and a guest, all of whom wanted to hear her dis-cuss Rotary’s 2013 Rose Parade float entry. Clarissa Vasquez didn’t start out to work at an alternative school. Her MFT degree led her to private practice and other therapy-based jobs. But she still hadn’t found her call-ing. That is, not until she got involved with the Fusion Acad-emy, one of several private schools to open over that past decade in the South Bay. We are partnering with Cub Scout Pack 860 to collect and distribute new and gently-used toys. The drive takes place Sat-urday, Oct. 13 in our clubhouse. All proceeds benefit the local branch of LA County Depart-ment of Children and Family Services (DCFS). Our club has a very full roster of activities in the coming weeks. Fitness and golf expert Scott Morgan really knows how to fundraise: for his first-ever marathon, he collected $10,000 for Children’s Hospi-tal of Boston and he’s been running and raising ever since. Easy Reader publisher Kevin Cody regaled us with stories from the world of newspaper publishing on Tuesday. 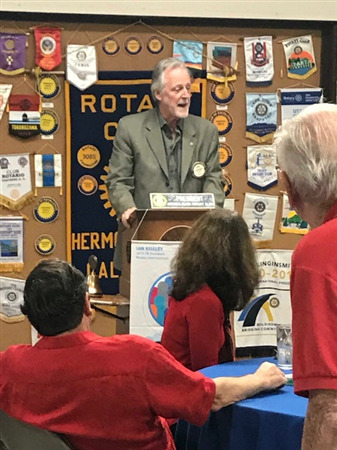 Cody, who co-founded the paper in 1970 as an all-volunteer organization and has overseen an expansion that now includes three magazines and circulation of 50,000 throughout the Beach Cities, continues in his role as publisher. He also explained that two prominent business moguls are buying up newspapers because advertising can no longer sustain the operations. He’s optimistic about what he calls “the transition period” in the newspaper world. Born in Paris, Fred travelled the world during his BMX days, so it’s no wonder that he and his fiancée are planning a destination wedding in Cabo San Lucas November 1, and will honeymoon in Thailand and Bora Bora. When members asked about his BMX years, he chuckled and described the regimen he followed during his racing career. “And I have many injuries to prove it!” he quipped. We welcome this dynamo to our club and look forward to learning more about him in the coming months. Members Andrea and Eric Conrad attended this past weekend's Hermosa Beach Education Foundation Hearts of Hemosa dinner-dance and fundraiser held at the HB Civic Center. A good time was had by all, but better yet was the successful fundraiser for Hemosa schools. 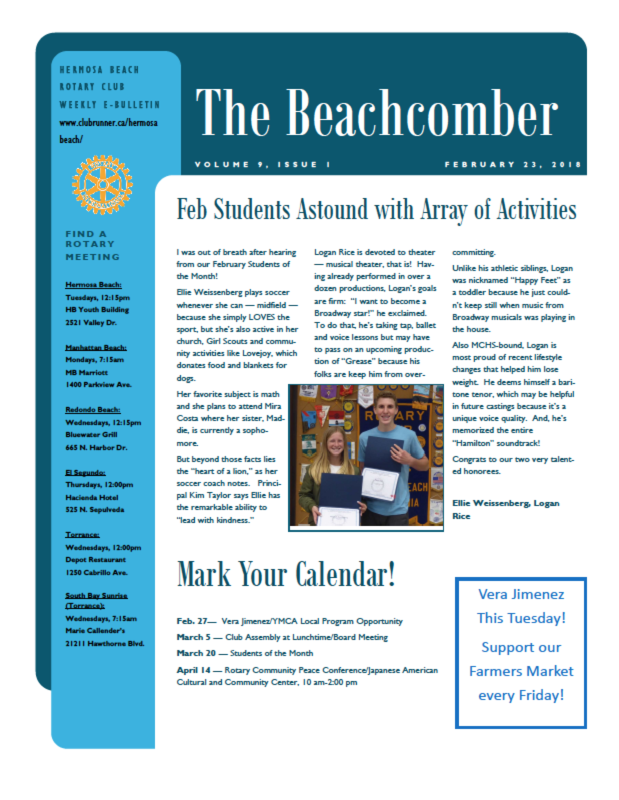 Check out Eric and Andrea on p. 25 of the Beach Reporter holding up their "What is Rotary?" cards for the camera.